Mix the peppermint extract into the green frosting. Scrape the frosting into the bowl with the melted white chocolate chips. Add the finely chopped mint Oreos and stir until combined. Spread in a greased, foil-lined 8-inch square pan. 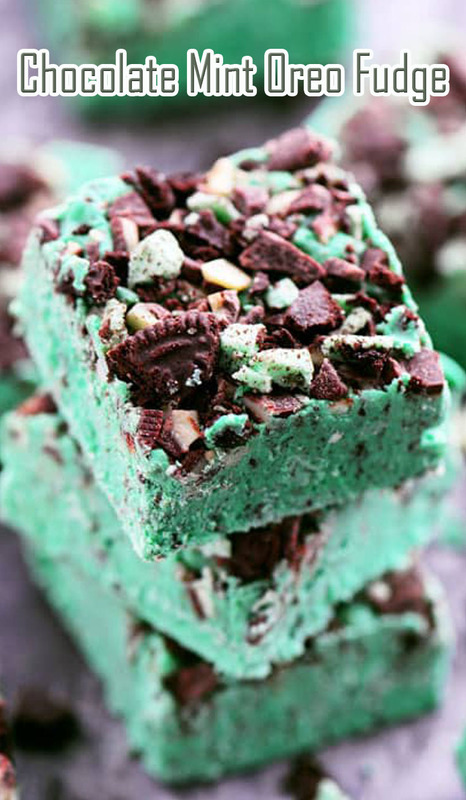 Sprinkle with roughly chopped mint Oreos and Andes baking chips and press them into the fudge.